After a dramatic first night of Last 16 Champions League football on Tuesday, Europe’s most prestigious cup competition is gearing up for another night of edge-of-the-seat action on Wednesday. In Amsterdam, Eredivisie giants Ajax host current European champions Real Madrid at the Johan Cruijff ArenA in a battle between two of the tournament’s most successful clubs. 6-hours west from the Dutch capital in London, Tottenham Hotspur take on Bundesliga title favourites Borussia Dortmund at Wembley in the night’s other fascinating looking Last 16 duel. Both fixtures are covered extensively by bookmakers with a plethora of potentially lucrative betting markets and specials waiting to be explored. Check out our dedicated Champions League page with links to all of the latest news, match previews and betting tips here. Moroccan right-sided attacker Hakim Ziyech is one of Ajax’s most productive attacking players. The 25-year old is the club’s second highest scorer this season with 12 goals, and Ziyech ranks joint first for assists with 8. Ziyech’s impressive individual goal scoring numbers in particular are helped by the fact that the Moroccan international simply LOVES to shoot. Ziyech has averaged an eye-watering 5 shots per game in the Champions League so far this season, a figure only eclipsed in the competition by world-class trio Luis Suarez, Cristiano Ronaldo and Lionel Messi. In two appearances against Bayern Munich in the UCL Group Stage earlier in the season, a team of a comparable level to Real Madrid, Ziyech had an incredible 8 shots at goal during his 180 minutes on the pitch. With statistics like his, Ziyech looks a fabulous bet at 5/4 with bet365 to have over 2.5 shots against Real Madrid on Wednesday. Check out our detailed Ajax vs Real Madrid match preview, with free betting tips and predictions here. 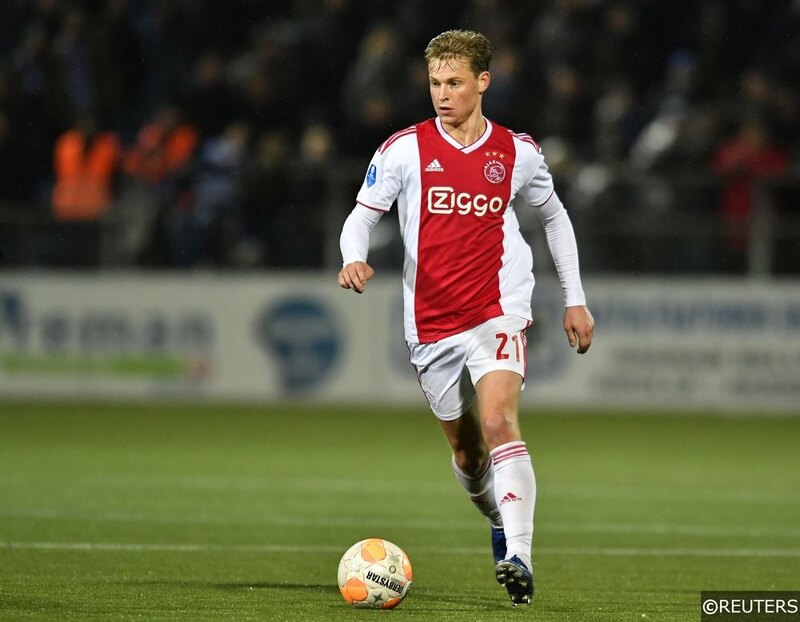 21-year old cultured Ajax midfielder Frenkie de Jong has multiple incentives to put in a top performance against Real Madrid this week. Alongside his desperation to help his club secure a positive first leg result in Amsterdam, de Jong will be keen to assert his authority against his future employer’s biggest La Liga rivals. De Jong, who will join Barcelona this summer, has been one of Ajax’s most consistent performers this season. As the archetypal passing midfield player, de Jong is central to all of Ajax’s play, cleverly recycling possession while looking for pockets of space to thread the ball into. The Dutch international has averaged 82.4 passes per game in the Champions League this season and incredibly, you can back him pass the 57.5 pass threshold against Real Madrid at 1/2 with bet365. Borussia Dortmund winger Jadon Sancho is a player with the world at his feet. The former Man City youngster has come of age this season, quickly establishing a reputation as one of the most exciting wide attackers in Europe. Sancho has been posting some fantastic numbers in his first full season of senior club football, racking up 7 goals and 9 assists in just 14 Bundesliga starts for Dortmund. 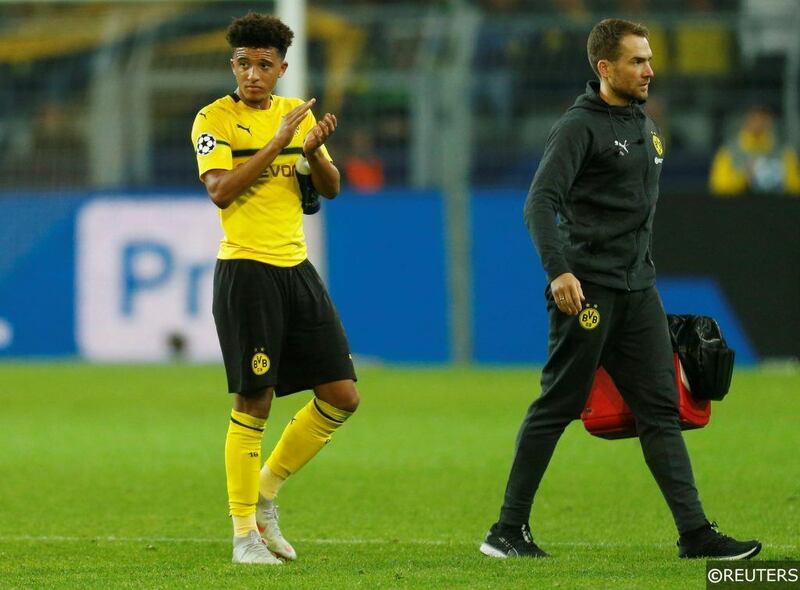 Having made just 3 starts in the Champions League, Sancho has been kept in reserve somewhat, though the 18-year old is expected to feature heavily from here on in. Behind his exceptional output are some modest shooting figures however. Sancho has averaged just 1 shot per Bundesliga appearance in 2018/19, and his average drops to just 0.4 when you analyse his Champions League performances so far. Against Tottenham on Wednesday, Sancho is unlikely to be presented with many chances to threaten the goal from his wide right berth against the defensively resolute hosts, which makes the 4/5 odds with bet365 on him having under 1.5 shots a great looking price. Make sure to check out our comprehensive Borussia Dortmund vs Tottenham Hotspur match preview, with free betting tips and predictions here. We really like the look of this one. Defensive midfielder Axel Witsel plays an integral role in the Champions League’s most prolific passing team this season – Borussia Dortmund. It might surprise you to learn that the German giants have played more short passes on average per game than any other club in this season’s Champions League (684), leaving the notorious tiki-taka fetishists Barcelona (637) and Manchester City (602) firmly in their wake. 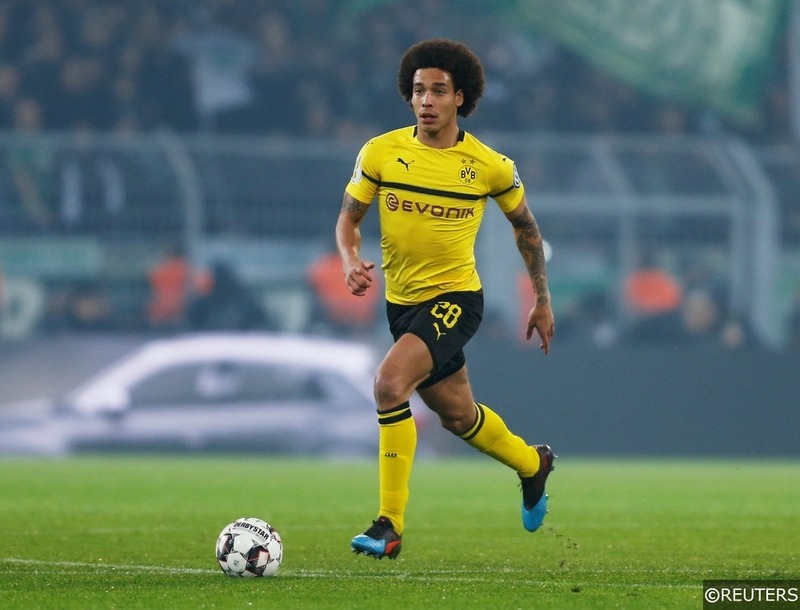 Axel Witsel is among Dortmund’s most prolific passing experts – the Belgian international has averaged a whopping 91.4 passes in the Champions League so far this term. In comparison, Tottenham’s leading Champions League pass maker this season is Davinson Sanchez, who has averaged 71.8 passes per game in 2018/19. Borussia Dortmund have SEVEN players, including Witsel who have averaged more than that. Witsel is available at a very generous looking 4/6 with bet365 to have over 61.5 passes at Wembley this evening, meaning that he has to hit just 67% of his usual average for the bet to be successful. Categories: Betting Odds, Blog, Champions League, and Football. Tags: Champions League, champions league betting tips, Champions League player specials, Champions League special, and UCL. Team Tag: Ajax, Borussia Dortmund, real madrid, and tottenham hotspur. League: UEFA Champions League. Sports: Football.